SERVING OUR CUSTOMERS FOR THE PAST "10 YEARS" AND COUNTING! Classes For All Levels of Tumbling & Cheerleading! PRICING IS FOR 4 WEEKS OR AT FIRST CLASS! CHECK CALENDAR MONTHLY FOR CHANGES! $5 DISCOUNT IF RECIEVED BEFORE THE 1ST OF THE MONTH!!!! $5 LATE FEE IF RECEIVED AFTER THE 7TH AND $5 EXTRA FOR EACH WEEK LATE. 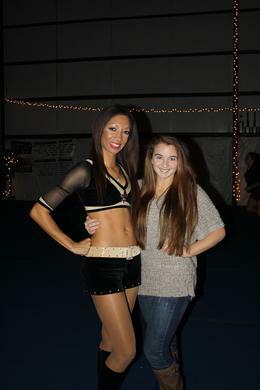 DAPHNE PRICE: OWNER AND TUMBLING/CHEER/STUNT COACH. RYANNE GREENE FLOYD: TUMBLING & CHEER COACH & ZUMBA INSTRUCTOR and MOTHER OF 2.